Sunday March 3rd 2019 I completed the Antalya Marathon 2019 in Turkey. 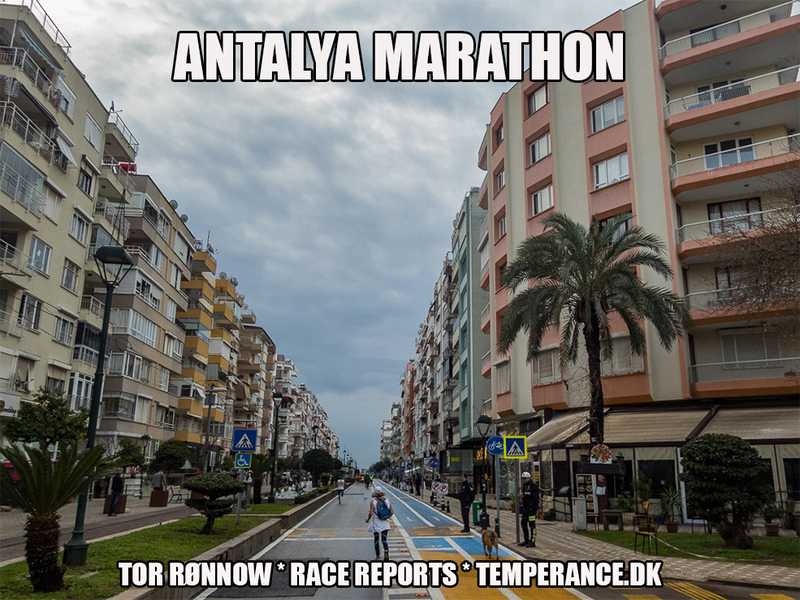 Find below my full race coverage plus a few tourist impressions from Antalya. Antalya City took me by surprise by it’s large size and non-tourist impression. However, Antalya sports the Old Town and many landmarks herein, including the famous Hadrian’s Gate (a leftover from the Roman Empire) and beautiful views towards the Mediterranean Sea. The costline is packed with the large tourist hotels and people visit Antalya and the area not only for the beaches but also for excursions and playing golf. For sure, Antalya is a pleasant place to visit. Antalya Marathon 2019 was a very well organized event featuring a half marathon, a full marathon and a 10 K race. The route was an out-home strech, quite scenic at places and along several of the landmarks in and nearby Antalya City.